Hand-picked and by invitation-only, Kiwi Collection hotels and resorts are so much more than simply a place to rest your head. Each one is a destination in its own right. They treat travel as a well-considered compilation of inspired experiences, rather than room nights, to create memories both vivid and lasting. This kind of special care deserves recognition, which is why we’re launching our inaugural Kiwi Collection Hotel Awards. Our team of luxury hotel experts pored over the full collection to select 13 of the year’s best in class for wellness, romance, adventure, family and more. Without further ado, please meet the crème de la crème of 2019. Hand-picked and by invitation-only, Kiwi Collection hotels and resorts are so much more than simply a place to rest your head. Each one is a destination in its own right. They treat travel as a well-considered compilation of inspired experiences, rather than room nights, to create memories both vivid and lasting. This kind of special care deserves recognition, which is why we’re launching our inaugural Kiwi Collection Hotel Awards. Our team of luxury hotel experts poured over the full collection to select 13 of the year’s best in class for wellness, romance, adventure, family and more. Without further ado, please meet the crème de la crème of 2019. Every hotel we feature in Kiwi Collection is special, that's why we choose them. Occasionally we're lucky enough to encounter a hotel so extraordinary that further recognition is required. That's why we created our Wow Picks. These hotels and resorts are so exceptional they transcend the norm to become a destination unto themselves. 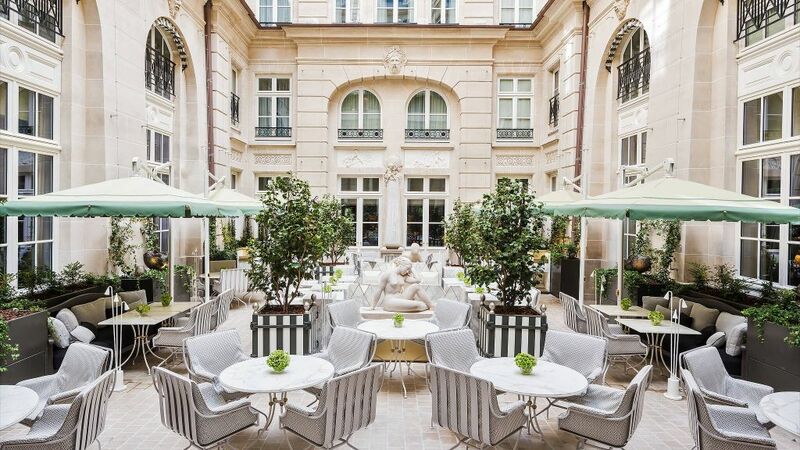 This year, our hearts were set a flutter by the grandeur, setting and beauty of Hôtel de Crillon, a Rosewood Hotel. Staged against the backdrop of Place de la Concorde, this Parisian masterpiece once played host to Marie Antoinette’s early forays on the piano. Over 200 years later, a reverential modernization project spanning five years has created a hotel fit for 21st century royalty. Expect a delightful fusion of modern accoutrements and beautiful antiques that speak to the history and wonder of this one-of-a-kind space. 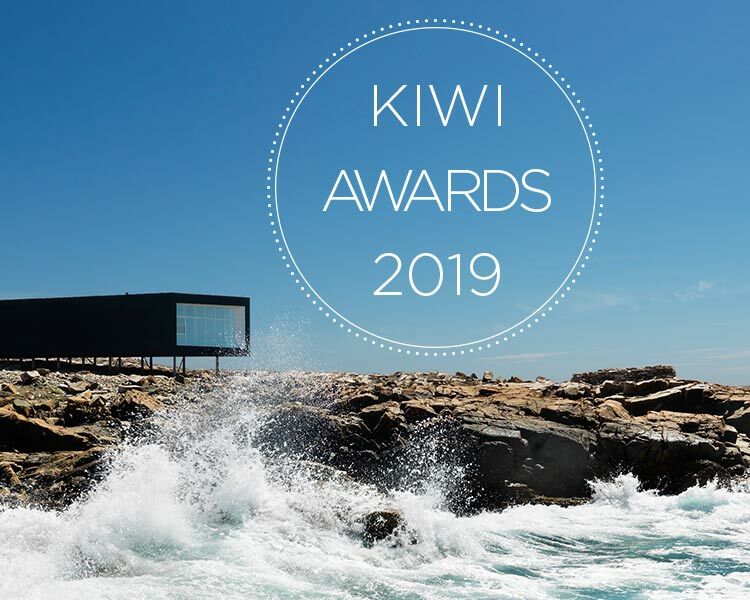 Each year, Kiwi Collection’s expert team of evaluators scour the globe in search of the world’s best hotels to add to our carefully curated collection. In 2018, The Murray Hong Kong, a Niccolo Hotel strode onto the scene, turning heads and making waves in the crowded Hong Kong luxury hotel scene. There’s plenty to love about this charming property—the one-of-a-kind geometric façade, the Michelin-starred cuisine on offer at Gou Fu Lou, the decadent spa with five treatment rooms and heated lap pool. No matter which of the 336 spacious guest accommodations one chooses, the guest experience is uniformly decadent and chic. 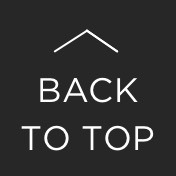 Everyone loves a comeback story. Whether it’s the world of sport, fiction or, in this case, luxury hotels, we love to see an icon restored to their former glory. In the hotel world, there are few bigger icons than Raffles Singapore. Known as the birthplace of the Singapore Sling cocktail, the hotel has welcomed luminaries as diverse as Charlie Chaplin, Liz Taylor and Michael Jackson since opening its doors in 1887. 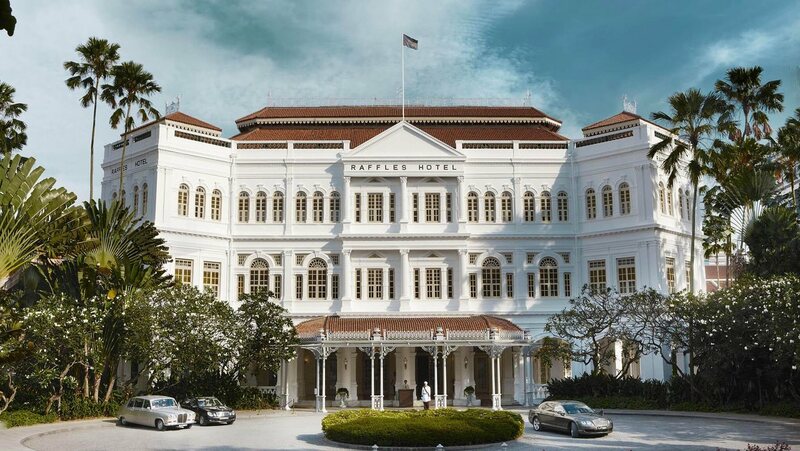 To mark the hotel’s 130th birthday in 2017, the decision was made to embark on a sensitive and meticulous restoration program geared at welcoming a new generation to experience Raffles’ legendary service in freshly modernized spaces. The hotel is set to re-open in mid-2019 and we couldn’t be more excited at the thought. It can be tough to find a vacation option that caters skillfully to adults and younger VIPs alike. This year, Verdura Resort excelled in this regard, offering one of the most comprehensive children’s activity programs at a major resort while presenting ample opportunity for adults to relax and unwind. Geared at kids aged 0-16, the “Families R Forte” program encompasses spa treatments, sports academies and a dedicated activity space for children called Verduland. Don’t worry, Verdura Resort hasn’t skimped on the adult activities either. Take to two championship 18-hole golf courses, savor a treatment at the world-class spa or take your taste buds on a gastronomic journey at one of the four restaurants and five bars. For its combination of low-slung luxury and otherworldly setting on the side of a volcano caldera, our 2019 Most Romantic Hotel is the stunning Iconic Santorini. It’s an adults-only setting where romance can blossom in an atmosphere of utter tranquility. The guest accommodations consist of caves hewn from volcanic rock with careful thought placed on providing a thoughtful and bespoke guest experience. Each morning, breakfast is served on one’s private terrace with the ingredients freshly gathered from the local market by the hotel chef. Elsewhere, modern amenities, luxe furnishing and white washed walls form the perfect complement to this hotel’s majestic views. From the moment you arrive, this setting is effortlessly romantic, the locals are warm and the pace of life is delightfully slow—what more could a couple want? The only way the challenges of climate change can be tackled is through a collective effort. This is why we’ve decided to salute the amazing work carried out by the Singita brand and their stable of sustainable safari properties. Singita’s mission statement is simple: to preserve and protect the African wilderness so future generations can enjoy it as nature intended. 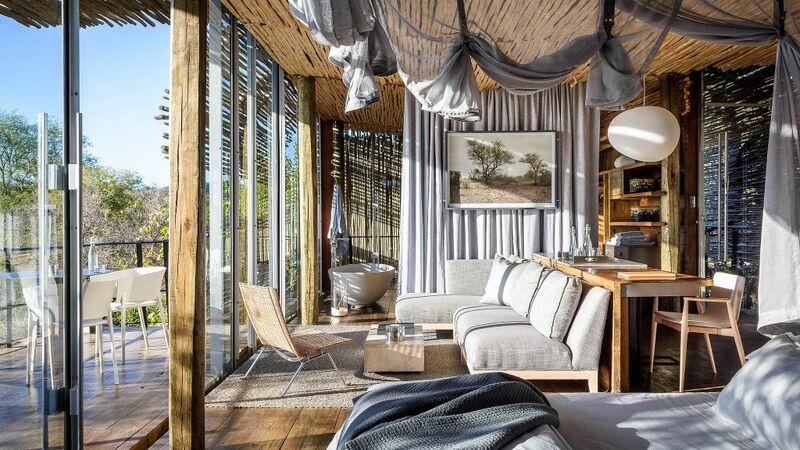 This goal, which they’ve strived toward for more than 25 years, informs the exceptional safari experience at each of their 12 lodges and camps across Africa. This results in a low-impact, high-value approach to tourism that provides a once-in-a-lifetime experience for guests. For their pioneering spirit and sincere desire to preserve Africa’s delicate ecosystem they are worthy winners of our Best Sustainable Luxury Award. The ideal boutique hotel features a unique swagger and a vibe that’s as far from cookie cutter as one can get. Kiwi Collection is lucky to feature a number of hotels that fit this mold, making this category one of the toughest to decide. Our winner, El Fenn, takes the title of Best Boutique Hotel thanks to its alluring blend of eastern charm and a guest experience that lives long in the memory. Much like Marrakech, El Fenn is replete with secrets. There are hidden alcoves everywhere one looks; cozy nooks to curl up within and patios best paired with an aromatic Moroccan Mint Tea. 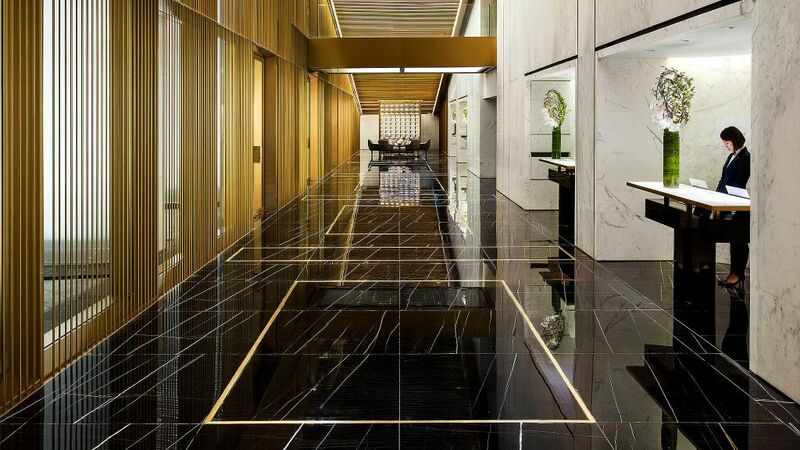 This is also a hotel that dresses to impress. The 21 stylish guest accommodations drip with authentic Moorish features alongside all the mod cons one would expect from an upscale city retreat. 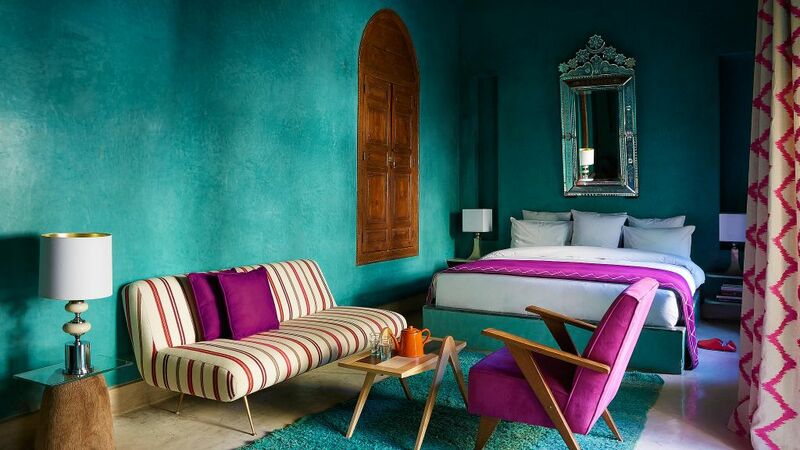 Immerse yourself in Morocco’s intoxicating culture at this seriously seductive boutique hotel. 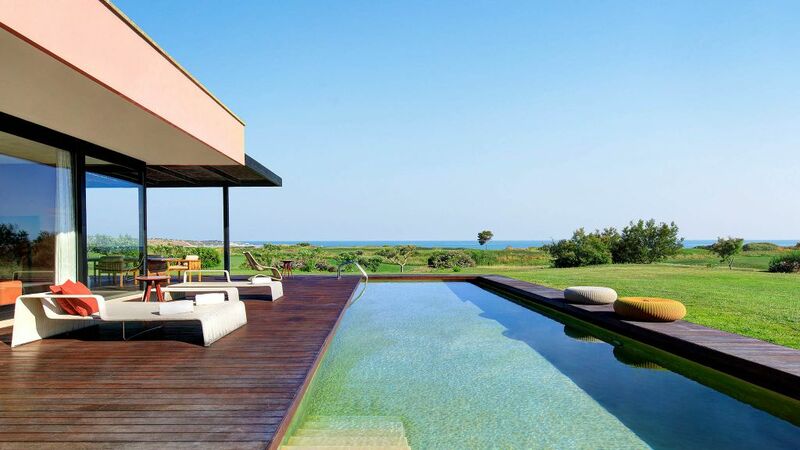 The right pool can really help one get into the swim of things on their vacation. 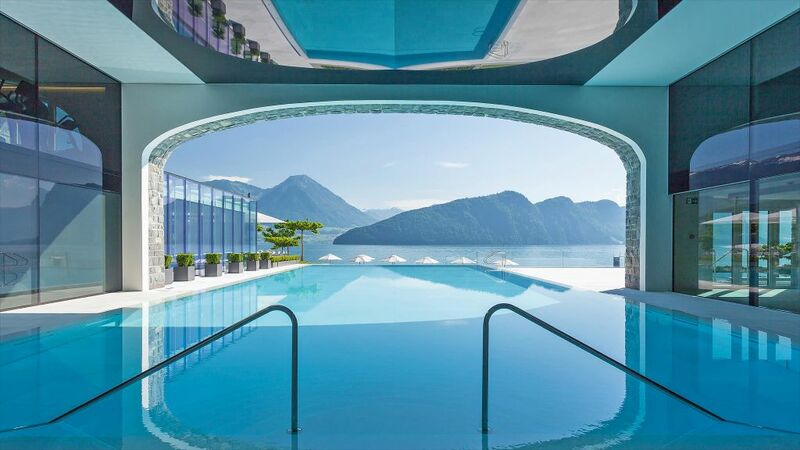 Set against the backdrop of Lake Lucerne and the Swiss Alps, the stunning infinity pool at Switzerland’s Park Hotel Vitznau is hard to look past. There’s plenty to love about this historic hotel, from its fairytale castle setting to Michelin Star dining, but the mirror-like infinity pool really makes us go off the deep end. Open year-round, the pool is fringed by jacuzzi beds and an indoor whirlpool. During summer, guests who want to reach out and touch the lake below need only walk a few steps to enjoy direct lake access. In this cosmopolitan corner of Europe, it’s the perfect place to people watch, soak up the atmosphere and enjoy the good life. When considering our Best Beach Hotel for 2019, we settled on one tropical delight that ticks all the traditional beach vacation boxes and so much more. 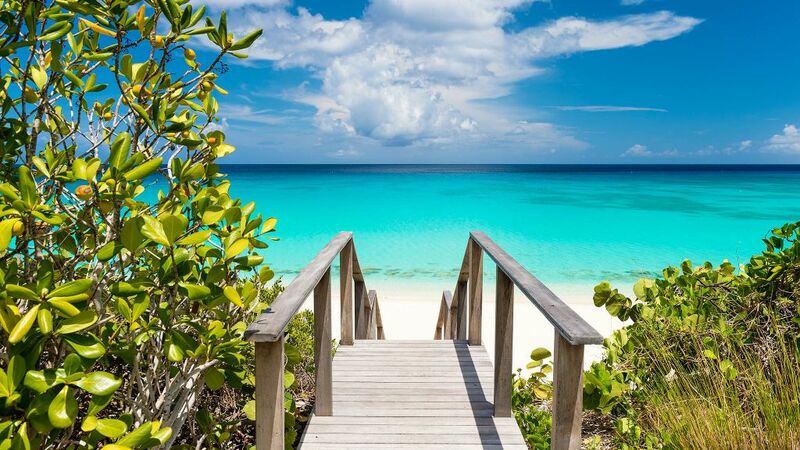 Located in one of the world’s great diving hotspots of Turks and Caicos, Amanyara presents a vision of paradise that’s perfect for sun worshippers and thrill seekers alike. This hip resort sits in an area of staggering natural beauty between a marine national park and a nature reserve. Coral reefs run parallel to a secluded resort beach that regularly receives visits from hawksbill turtles and hundreds of species of migratory birds. Active guests are invited to dive among the reefs, sample kiteboarding or waterski under the warm gaze of the tropical sun. If that all sounds like too much hard work, grab a good book and let the sounds of lapping ocean melt the world’s cares away. With over 450 wineries, a beautiful climate and more world-class dining establishments than one could ever hope to visit, it takes a lot to stand out in California's Napa Valley. 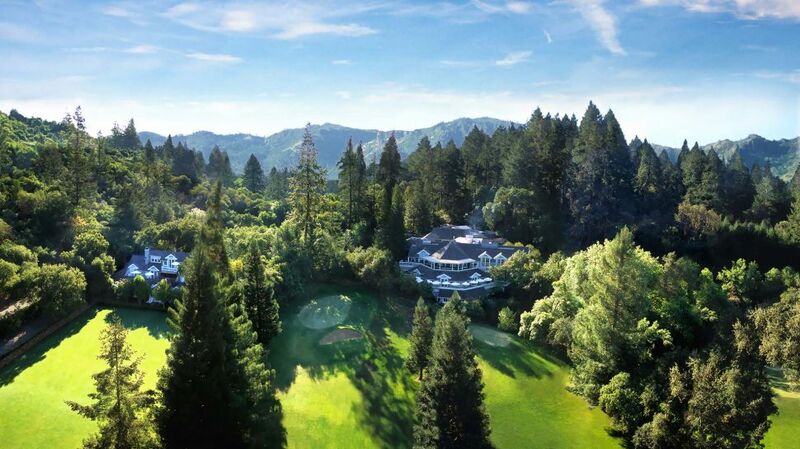 Perhaps the largest jewel in its crown is Meadowood Napa Valley, a sprawling estate set within a bucolic forest valley. Considered one of the best resorts in the world, it’s a deserved winner of our Best Gourmet Getaway category thanks to the presence of the only three Michelin-starred hotel restaurant in the United States. Artfully helmed by James Beard award winner Christopher Kostow, this destination restaurant champions local, sustainable Californian cuisine with a modern twist. Under Kostow’s watch, The Restaurant at Meadowood has joined the nearby Golden Gate bridge in the pantheon of California’s must-see sights. In our increasingly hectic world, the importance of self-care and wellness has never been more apparent. 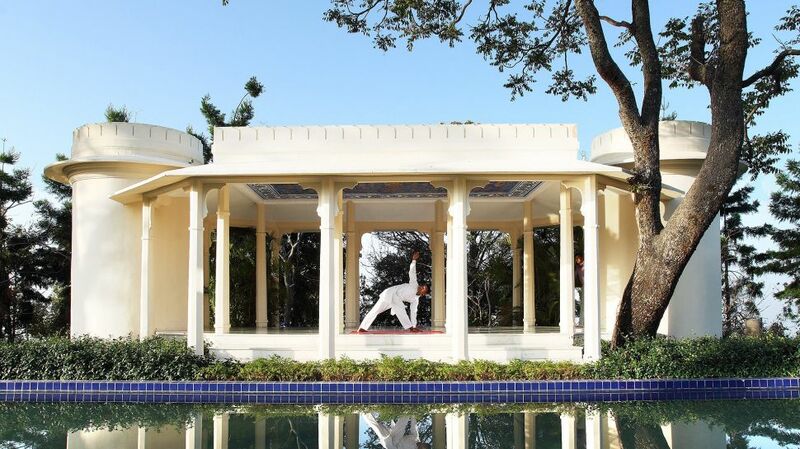 Ananda – in the Himalayas exists to provide the perfect tonic to 21st century life. A former residence of the Maharaja of Tehri-Garhwal, this destination spa resort overlooks the spiritual town of Rishikesh and the Ganges river valley. A holistic approach to rejuvenation is espoused here, integrating traditional Ayurveda, Yoga and Vedanta with cutting edge advances in wellness and fitness. Ensuring our bodies receive the correct fuel is an often-underrated aspect of the wellness experience. Guests at Ananda receive a tailored menu of healthy organic cuisine to restore balance and harmonize energy. When considering your next dream getaway, make sure this rest stop for the soul is high up on your list. 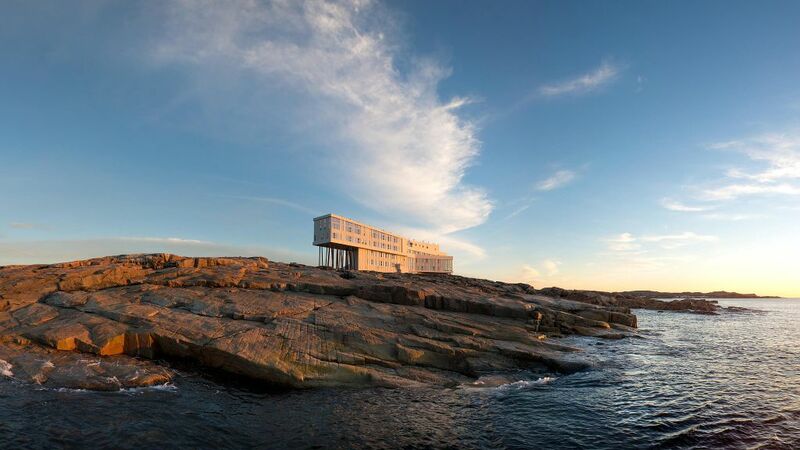 We couldn’t hold these awards without tipping our hat to a hotel in our own backyard; that being one of Canada’s most remarkable and one-of-a-kind destination hotels, Newfoundland’s Fogo Island Inn. To get to this rugged and far-flung corner of Canada, guests embark on an adventure that involves a flight, two drives and a ferry sailing. Managed by local charity, Shorefast, The Inn is a symbol of a community that’s rising to meet the challenges of a changing world. Each guest who visits is helping to revitalize and diversify the local economy, with profits reinvested toward a micro-lending program that helps local entrepreneurs get their businesses off the ground. This community-first approach extends to the guest experience, with visitors invited to socialize together and enjoy their unique surrounds through floor-to-ceiling windows beside a roaring fire. 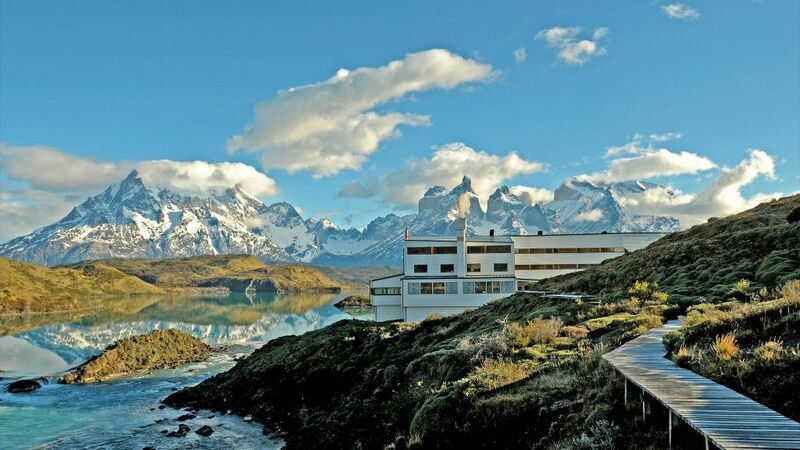 In 2019, nobody did more to support sustainable and exciting adventure getaways than explora and their world class properties in Chile’s Patagonia region. explora view themselves as custodians of this dreamscape, developing a strict environmental policy that respects the ancient cultures of the region without skimping on customer experience. Pack your sturdiest boots as they offer over 3,600 kilometers of trails that can be explored by foot, bike, boat or horseback. Their experts have been guiding guests through this area for more than 20 years, allowing them to tailor adventure plans for visitors of all skill levels. Against the backdrop of such towering beauty, it’s important to leave the cares of the world behind, which is why explora destinations are all-inclusive of explorations, food, beverage and transport. Hand-picked and by invitation-only, Kiwi Collection hotels and resorts are so much more than simply a place to rest your head. Each one is a destination in its own right. They treat travel as a compilation of inspired experiences, rather than room nights, to create memories both vivid and lasting. This kind of special care deserves recognition, which is why we’re launching our inaugural Kiwi Collection Hotel Awards. Our team of luxury hotel experts pored over the full collection to select 13 of the year’s best in class for wellness, romance, adventure, family and more. Without further ado, please meet the crème de la crème of 2019. For its combination of low-slung luxury and otherworldly setting on the side of a volcano caldera, our 2018 Most Romantic Hotel is the stunning Iconic Santorini. It’s an adults-only setting where romance can blossom in an atmosphere of utter tranquility. The guest accommodations consist of caves hewn from volcanic rock with careful thought placed on providing a thoughtful and bespoke guest experience. Each morning, breakfast is served on one’s private terrace with the ingredients freshly gathered from the local market by the hotel chef. Elsewhere, modern amenities, luxe furnishing and white washed walls form the perfect complement to this hotel’s majestic views. From the moment you arrive, this setting is effortlessly romantic, the locals are warm and the pace of life is delightfully slow—what more could a couple want? When considering our Best Beach Hotel for 2018, we settled on one tropical delight that ticks all the traditional beach vacation boxes and so much more. Located in one of the world’s great diving hotspots of Turks and Caicos, Amanyara presents a vision of paradise that’s perfect for sun worshippers and thrill seekers alike. This hip resort sits in an area of staggering natural beauty between a marine national park and a nature reserve. Coral reefs run parallel to a secluded resort beach that regularly receives visits from hawksbill turtles and hundreds of species of migratory birds. Active guests are invited to dive among the reefs, sample kiteboarding or waterski under the warm gaze of the tropical sun. If that all sounds like too much work, grab a good book and let the sounds of the ocean melt the world’s cares away. With over 450 wineries, a beautiful climate and more world-class dining establishments than one could ever hope to visit, it takes a lot to stand out in California's Napa Valley. Perhaps the largest jewel in its crown is Meadowood Napa Valley, a sprawling estate set within a bucolic forest valley. Considered one of the best resorts in the world, it’s a deserved winner of our Best Gourmet Getaway category thanks to the presence of the only three Michelin-starred hotel restaurant in the United States. Helmed by James Beard award winner Christopher Kostow, this restaurant champions sustainable Californian cuisine with a modern twist. Under Kostow’s watch, The Restaurant at Meadowood has joined the nearby Golden Gate bridge in the pantheon of California’s must-see sights. In 2018, nobody did more to support sustainable and exciting adventure getaways than explora and their world class properties in Chile’s Patagonia region. explora view themselves as custodians of this dreamscape, developing a strict environmental policy that respects the ancient cultures of the region without skimping on customer experience. Pack your sturdiest boots as they offer over 3,600 kilometers of trails that can be explored by foot, bike, boat or horseback. Their experts have been guiding guests through this area for more than 20 years, allowing them to tailor adventure plans for visitors of all skill levels. Against the backdrop of such towering beauty, it’s important to leave the cares of the world behind, which is why explora destinations are all-inclusive of explorations, food, beverage and transport.